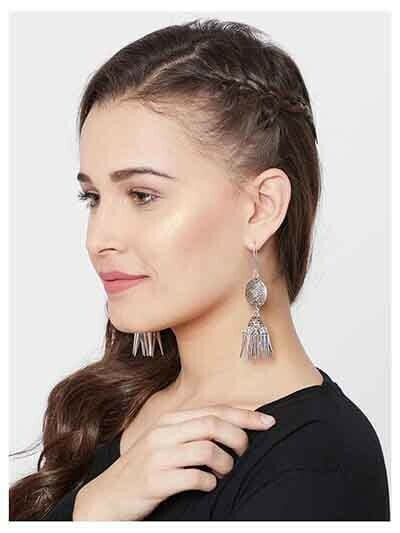 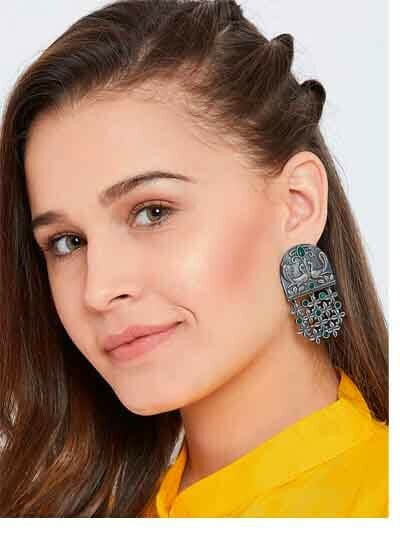 Easy to carry and classy on style, Tribal jewellery has become the most loved jewellery trend, especially in 2018. 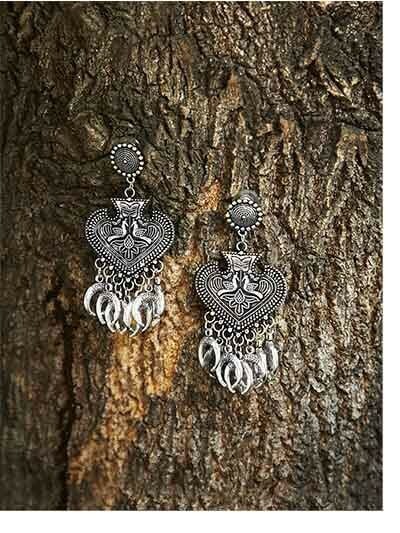 Handcrafted with utmost perfection and love, our exquisite collection of tribal jewellery bears an earthy charm. 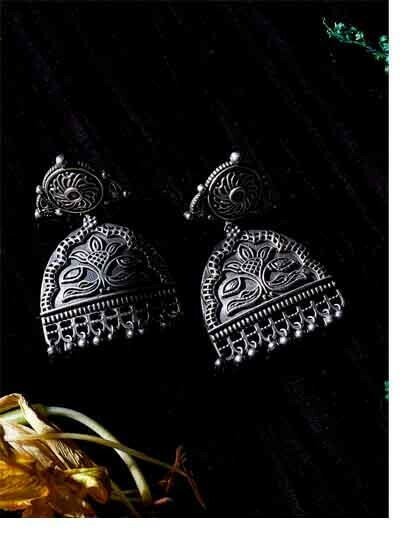 Available in a plethora of designs, our bespoke designs of tribal jewellery are budget-friendly and require minimal care. 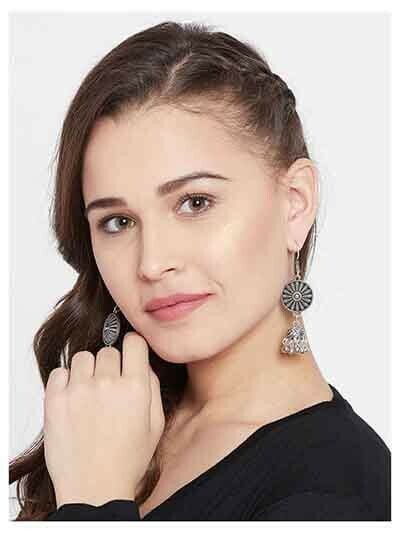 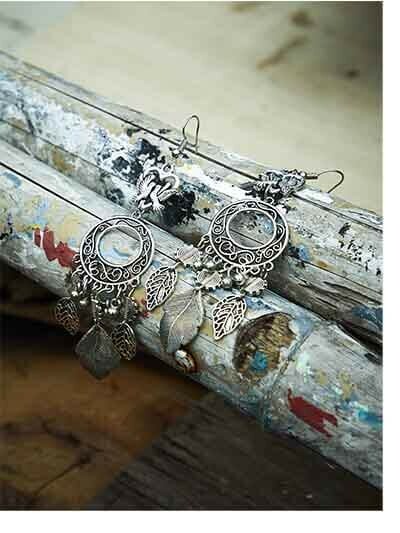 Get your hands on our tribal collection of earrings, chokers, and necklaces and adorn a sassy rustic charm almost effortlessly. 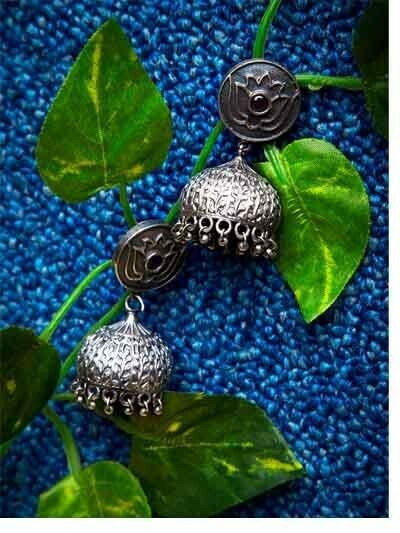 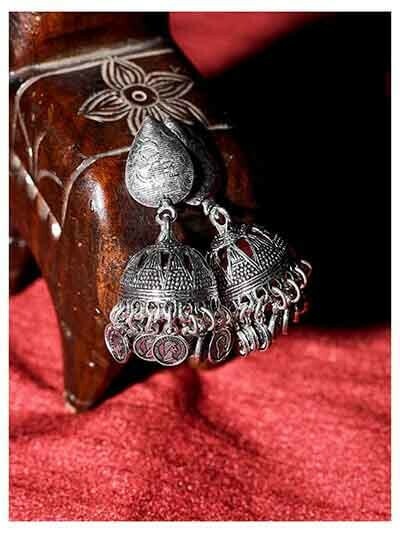 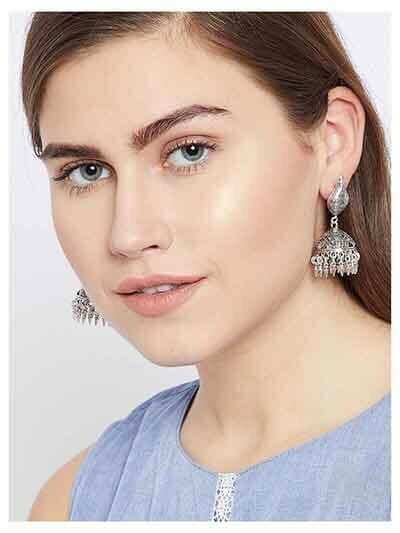 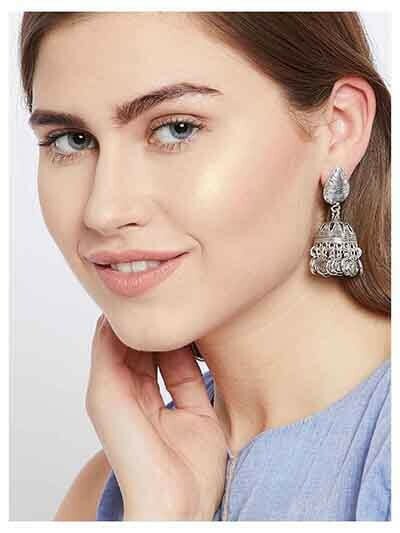 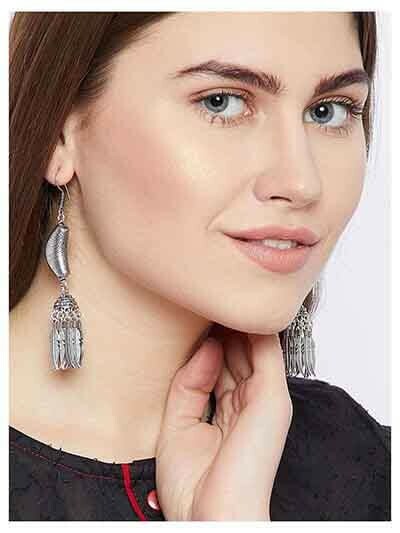 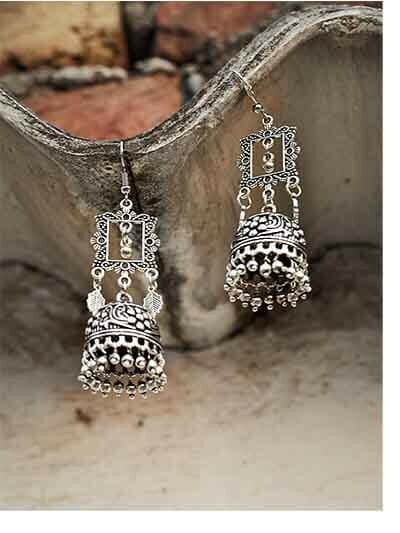 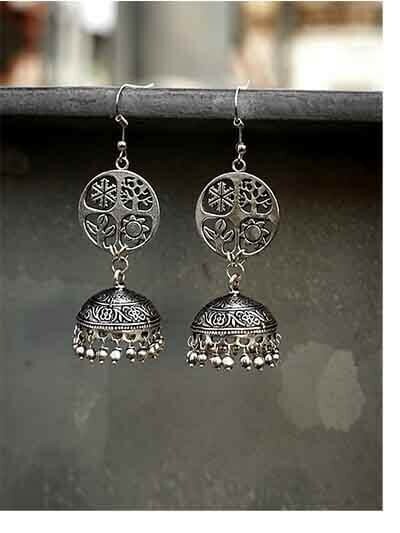 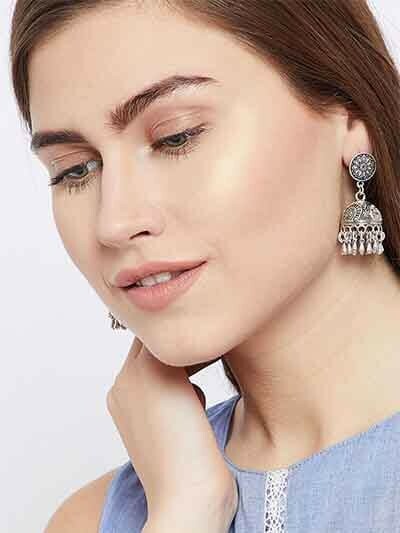 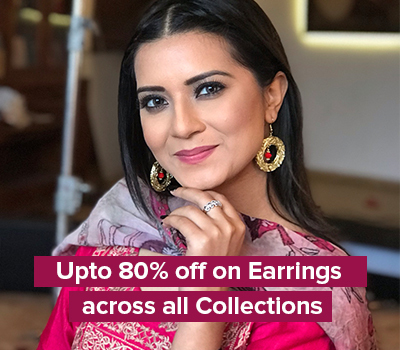 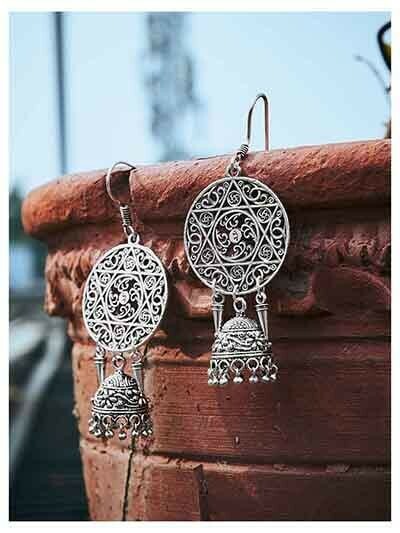 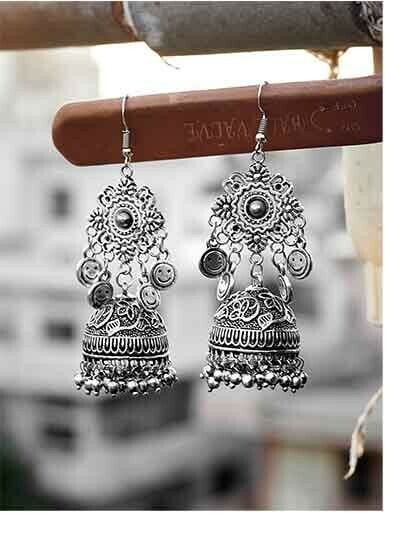 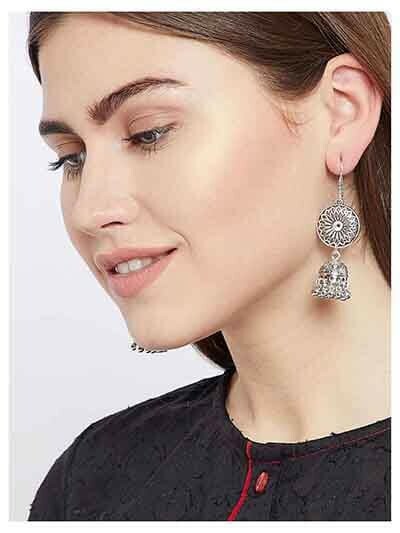 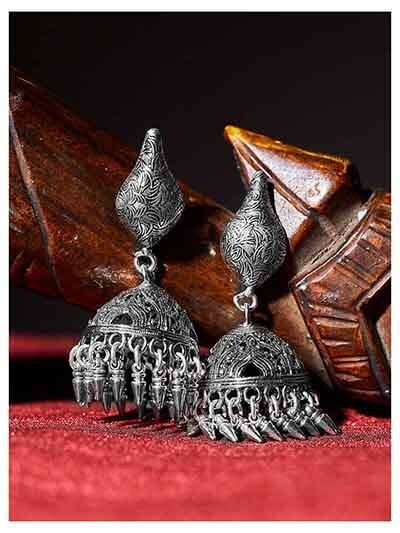 Shop classic Silver plated and German silver jhumkis from our jaw-dropping collections of tribal jewellery and Indian tribal jewellery. 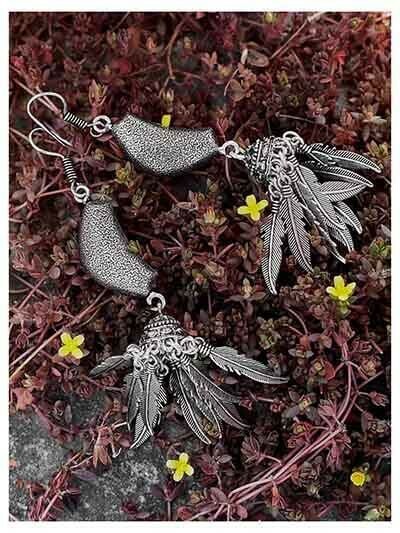 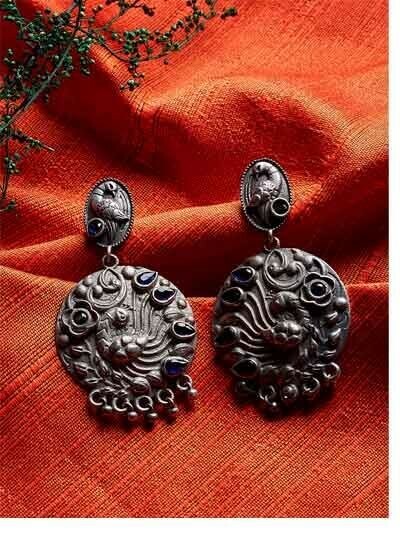 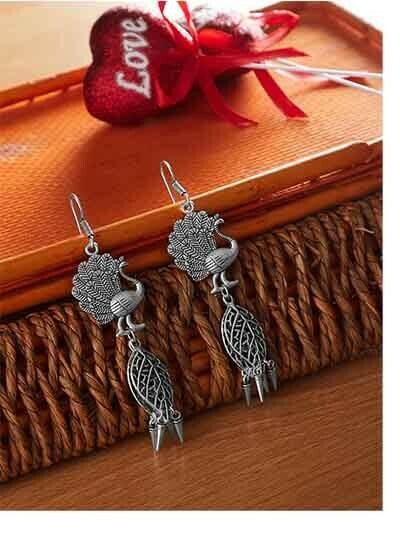 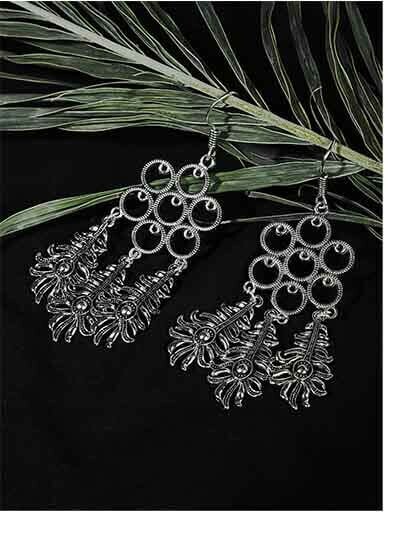 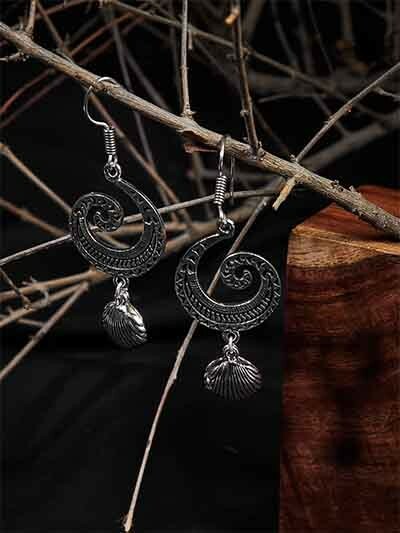 We have a wide range of beautifully handcrafted earrings embossed with metallic ghungroos, coins and much more. 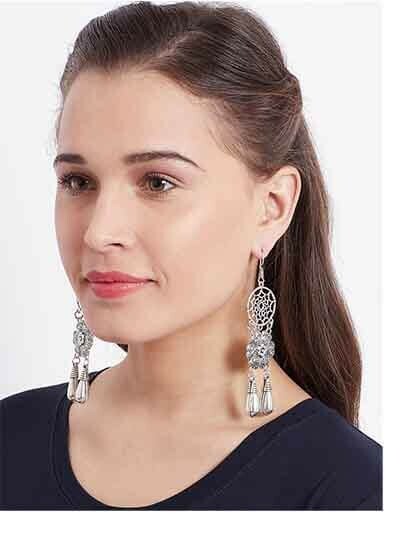 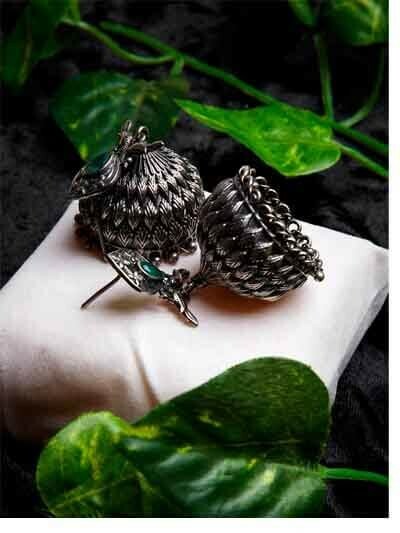 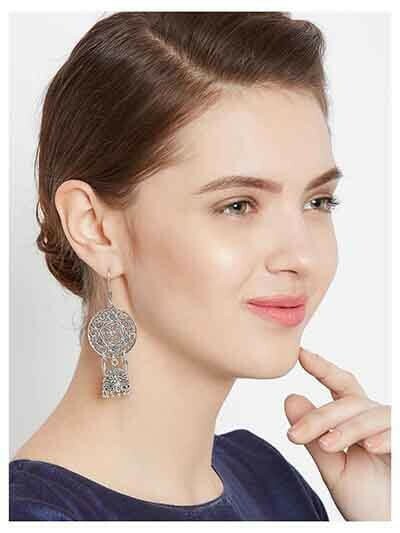 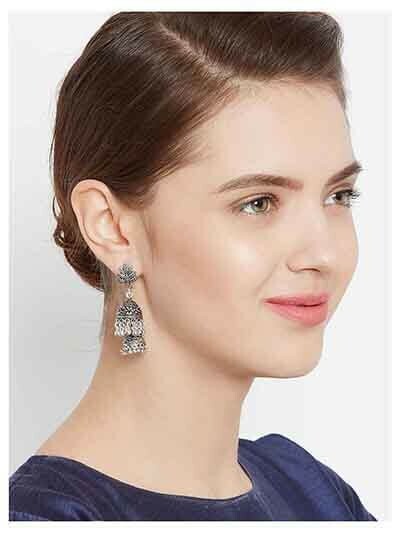 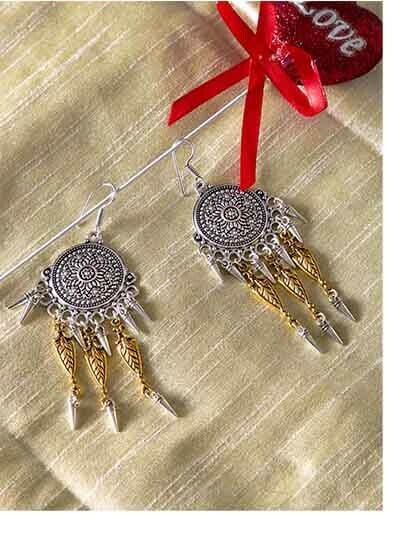 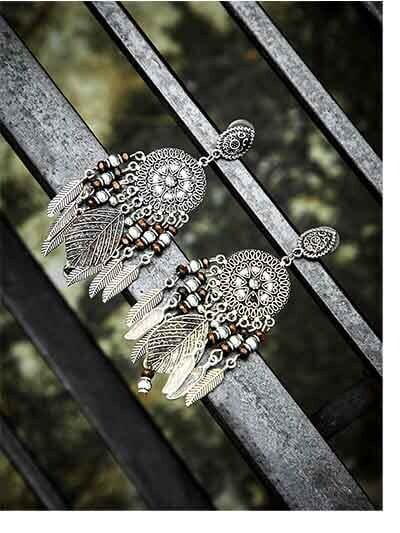 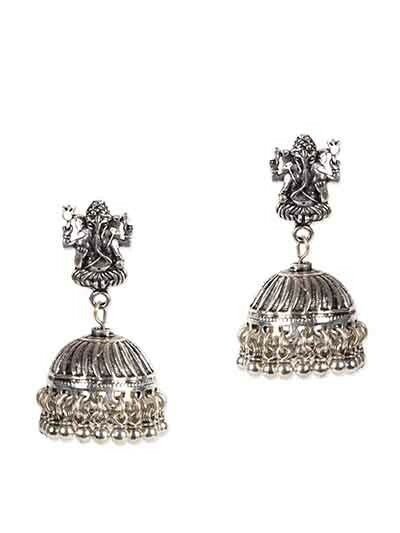 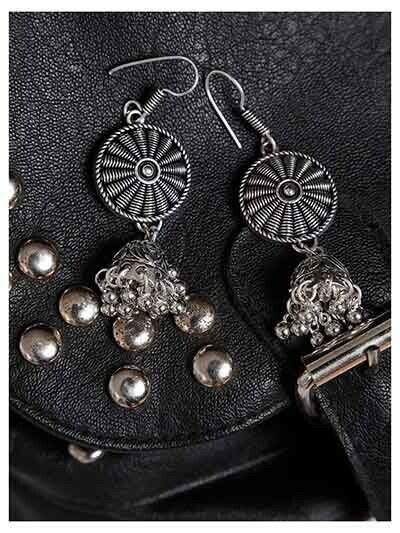 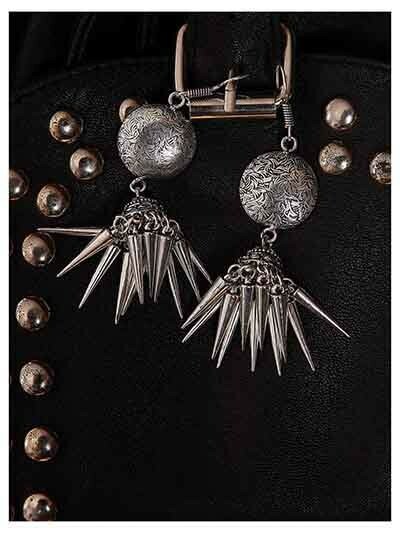 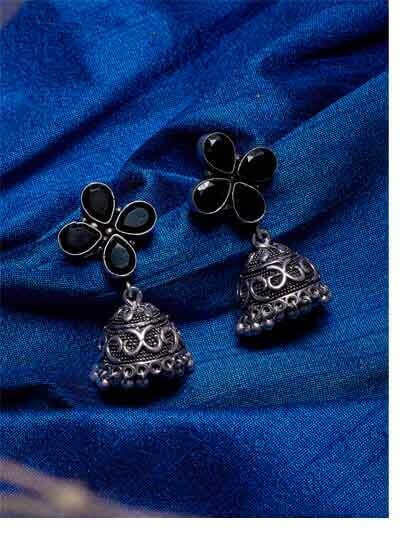 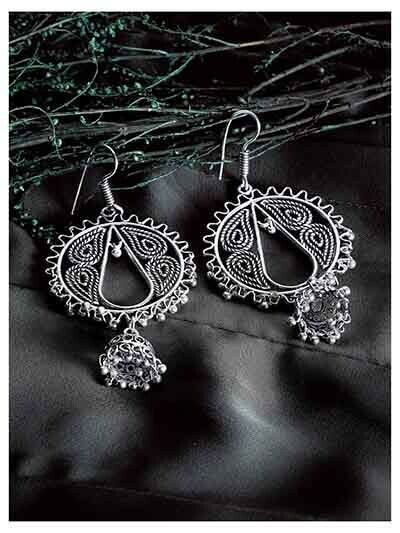 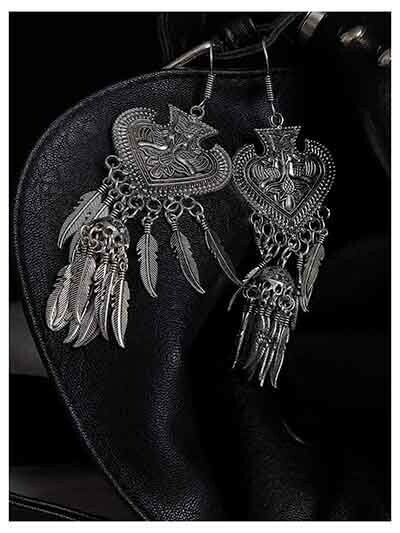 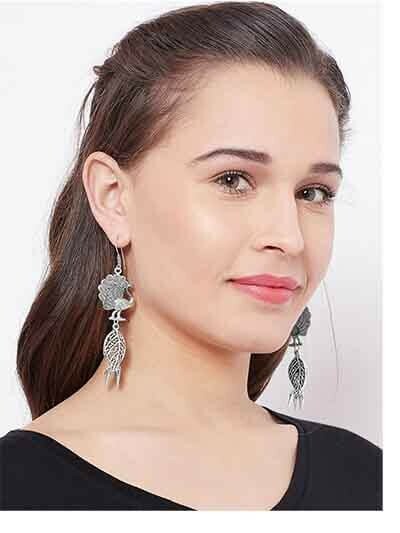 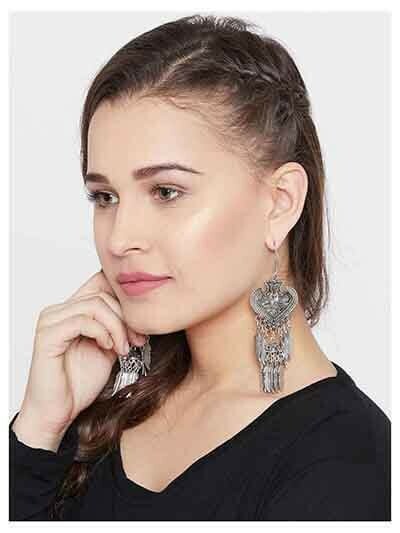 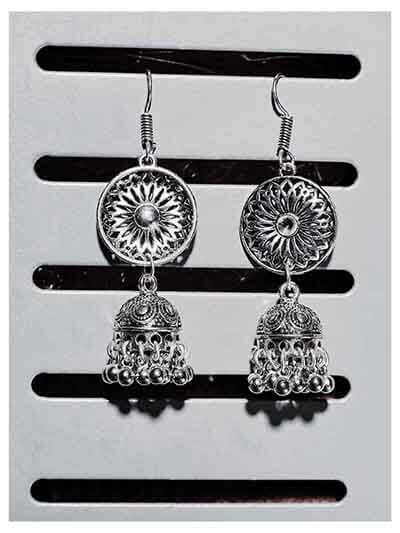 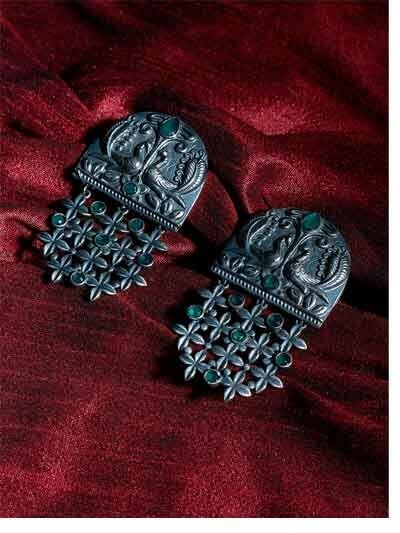 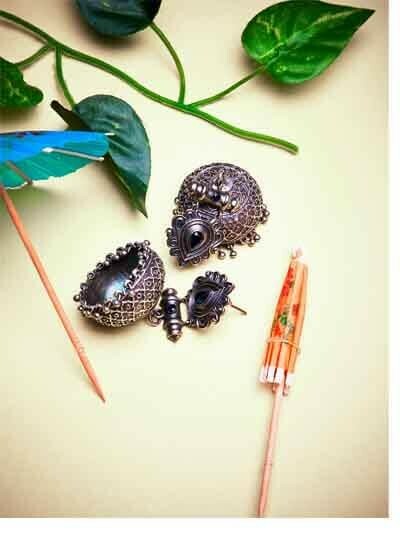 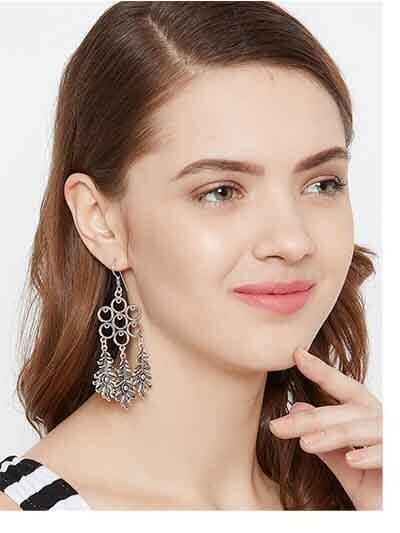 The intricate designing on our tribal earrings will surely leave you spellbound. 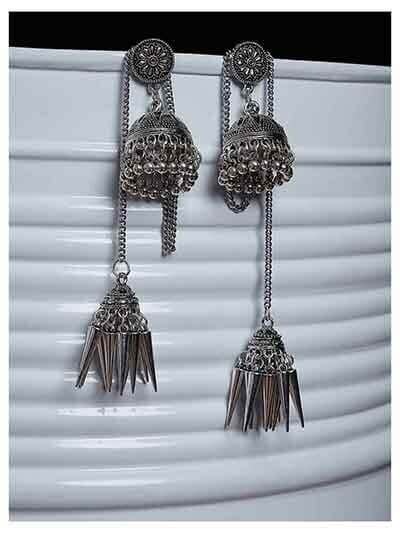 From chunky and layered statement necklaces to elegant pendant tribal neckpieces, our tribal collection has it all. 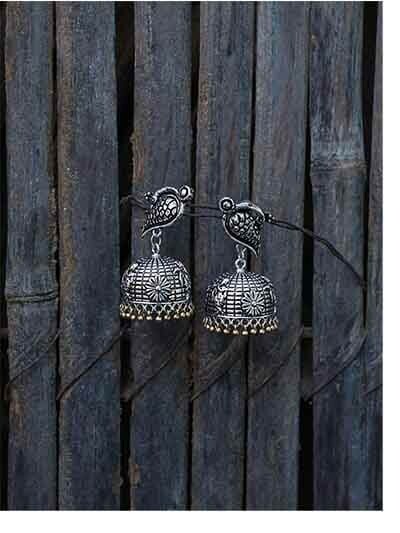 Handcrafted with an eclectic appeal, our tribal collection of fashion necklaces will help you garner attention wherever you go. 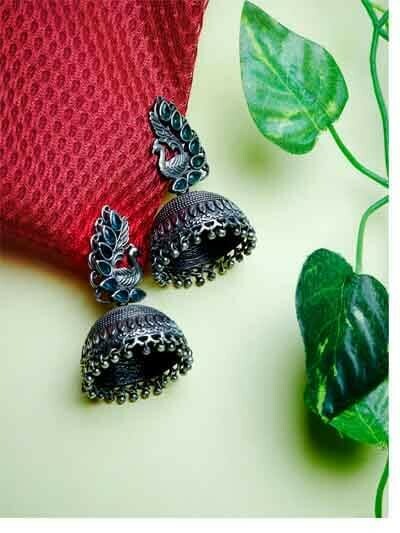 Available in a wide range of colors combinations and designs, our tribal and Indian tribal jewellery collection is a perfect example of handmade creativity. 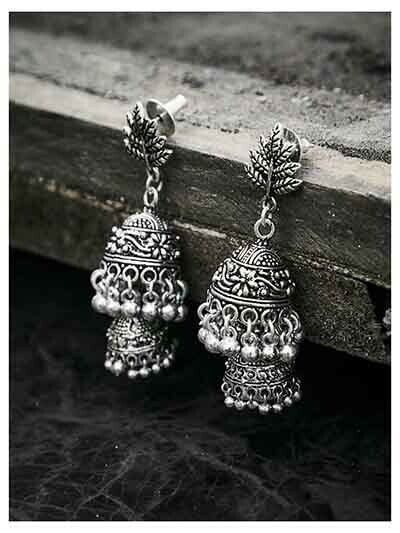 Shop now and sign up with us to get 15% off on your first order. 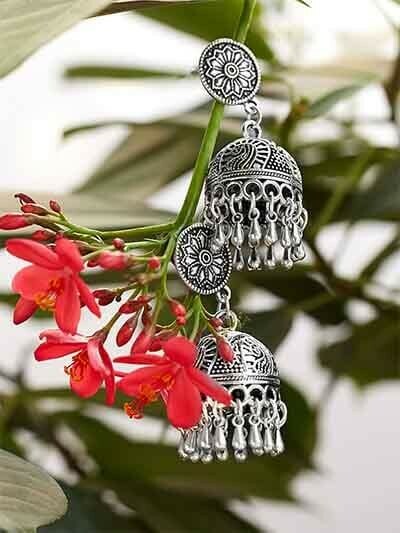 Keep away from water and perfume. 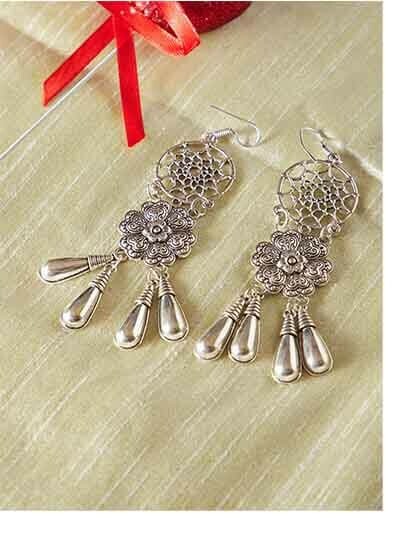 Store individually in a Zip-lock pouch.